Fans weren't happy with the reality star. Kim Kardashian deleted her emotional tweet about the recent Manchester terrorist attack after receiving a furious backlash on social media. The KUWTK reality star, who is no stranger to controversy, initially responded to the tragedy with a now-deleted tweet that included a picture of herself with Ariana Grande. The picture showed herself, Kendall Jenner and Ariana Grande appearing to have the time of their lives at Kanye West’s September gig in Madison Square Garden. 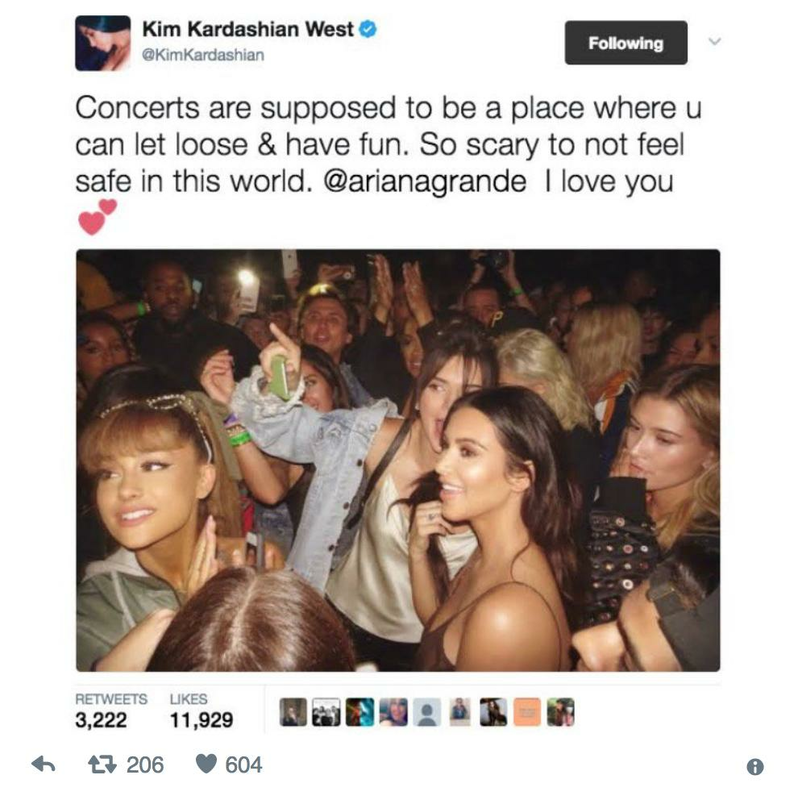 Although Kim may have intended for the post to show support for Ariana Grande, many fans took the post to mean she was making the tragedy all about herself. Kim also posted more tweets about the Manchester tragedy, expressing her concerns and sorrow for everybody involved. Meanwhile, Ariane Grande, who is reportedly still distraught by the situation has agreed to pay for the funerals of the 22 people who died following the terrorist attack at her show.